91. Who gave the name ‘Vagbhatananda’ to V.K.Gurukkal ? 94. At which place Chattampi Swamikal aquired self realization ? Answer :- Aruvippuram 96. “Oru jathy, oru matham ,oru Daivom” (“Intha ulakathile orae oru jathy than, Orae oru matham than, orae oru kadavul than” ) is the Malayalam translation of Thycaud Ayya’s teaching . Who popularised it? 97. Whose childhood name was Ayyappan? 100.The place where the relics of Kuriakose Elias Chavara is kept? 101.The social reformer whose native place is Swamithope? 102.The social reformer whose father’s name is Vasudeva Sharma? Answer :- Chattampi Swamikal 103.The social reformer whose ancestors were migrated from Malabar to Tamil Nadu during the invasion of Tipu Sultan? 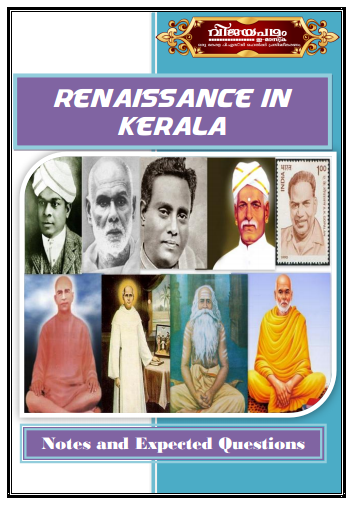 105.Whois referred to as the “father of muslim renaissance in Kerala”?